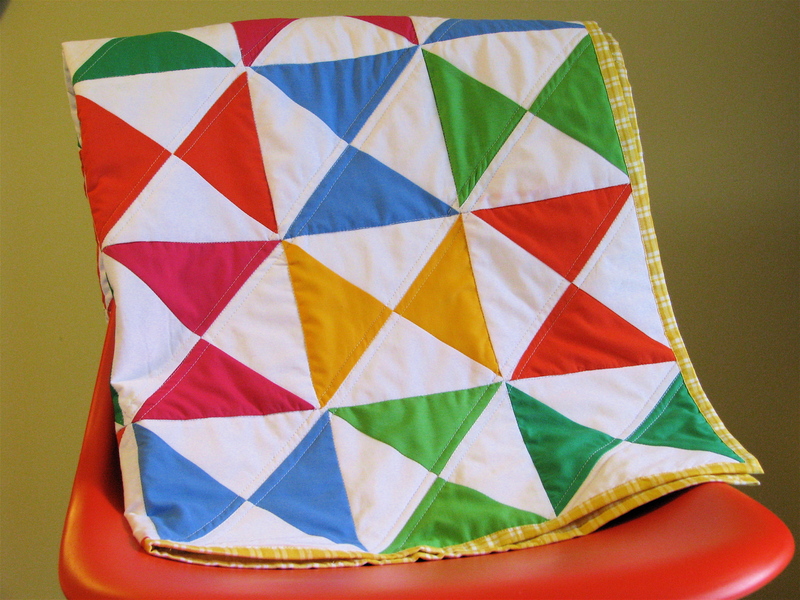 "I like to make quilts because I have found them to be pretty intuitive on their own. With very little expertise one can produce a very satisfying end product. 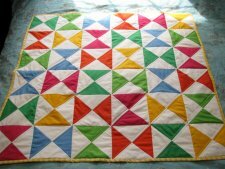 Add to that the fact that they are quite simply the best way one can use multiple fabric prints or colors in one place. 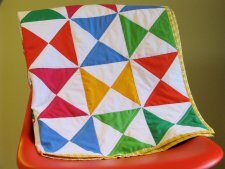 I especially like to make baby quilts because they are small and quick and double as play blankets as well as bedding. 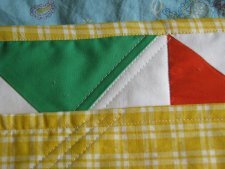 "So despite the fact that I am a complete Quilting Imposter, I managed to pull together a tutorial for a baby quilt that is quite nice over at Sew Mama Sew. 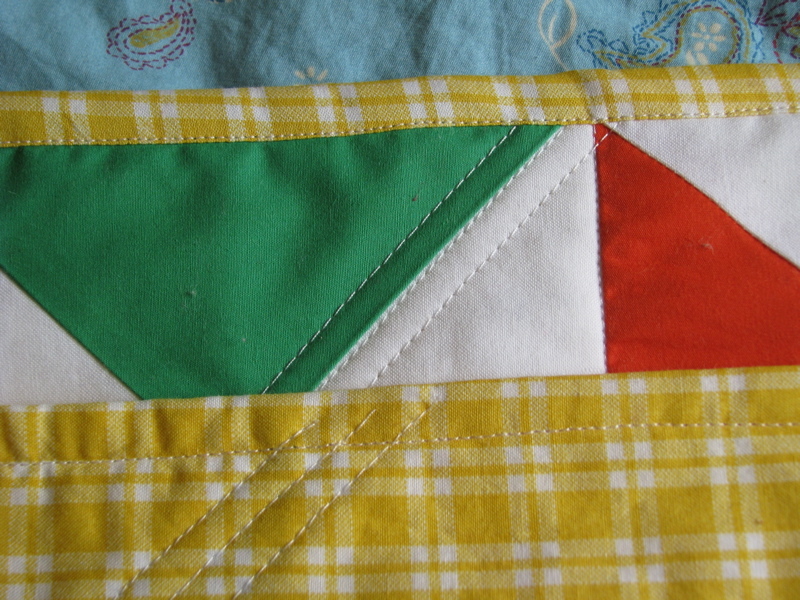 "In addition to the (quilt) tutorial, I wanted to share another trick I use to bend the rules here on the blog, which is that I bind my quilts using the backing instead of making separate binding. 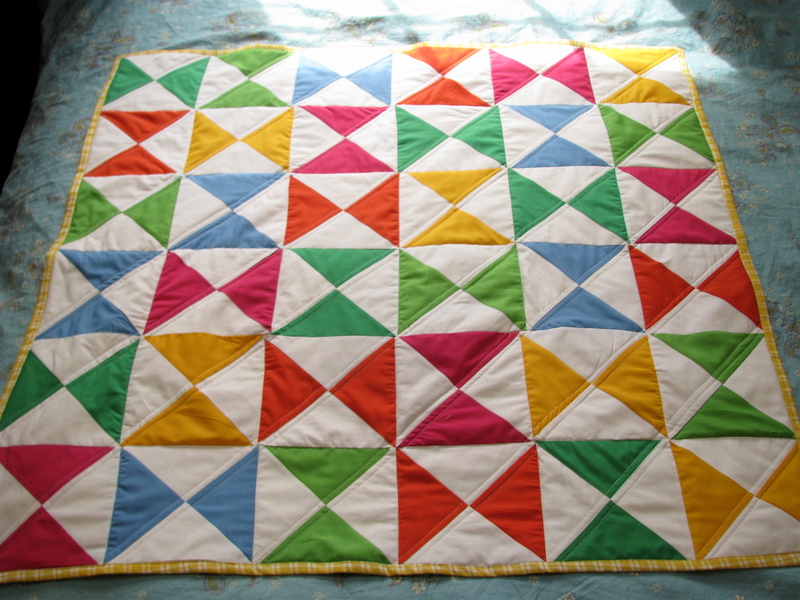 I’m sure this has all Real Quilters Gone Before rolling over in their graves, but it makes me feel pretty smug/clever."